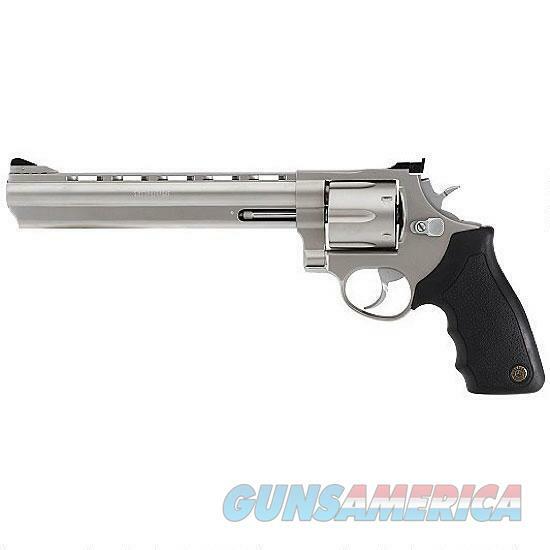 Manufacturer: Taurus International MFG, Inc.
Taurus large frame revolvers deliver the goods in a big way when the chips are down. The 608 packs a mind-boggling 8 rounds of .357 Magnum firepower, while the model 44 offers up 6 rounds of full power .44 Magnum loads. Hammer forged for tough performance and confidence-boosting accuracy, these decision-makers come with hand-fitted actions, and clean, crisp triggers right out of the box. New innovations include ported barrels that reduce muzzle flip and felt recoil.